A Ford GT previously owned by F1 World Champion Jenson Button is to go under the hammer. While no Ford GT can be described as mundane, this one is particularly exceptional, as it has been marked as 'VIP' – an honour bestowed on only five of the 101 vehicles allocated to Europe. The British racing driver collected the car in Switzerland in 2005, prior to registering it in the UK in 2006. 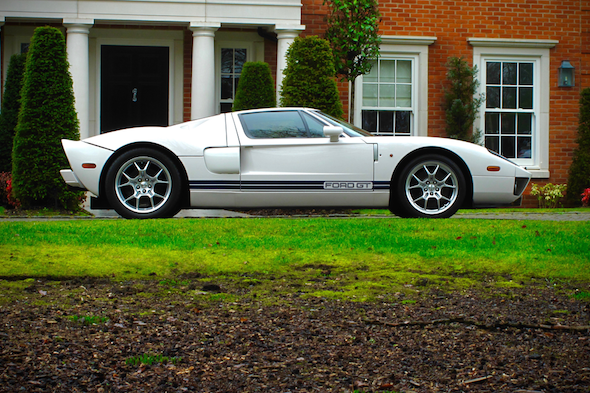 Will Smith, sales manager at Silverstone Auctions, said: "The Ford GT is part of a rare class of modern cars that instantly become collectable, and have become more and more sought after. "Given its inimitable heritage, prolific performance, stunning design, and thrilling driving experience, the Ford GT is a very special creation that will undoubtedly be revered for many years to come. In addition, it was once Jenson Button's very own, adding even more exciting provenance and collectability to this particular example." The Ford GT gets its power from a 550bhp V8 engine, which propels it to 60mph in just 3.5 seconds and continues on to a top speed of 205mph. This example has done just 8,350 miles, with the seller having acquired it in 2011. After the auction, the car will be delivered to its new owner having been freshly serviced and checked over. The auction is due to take place at the Race Retro historic motorsport show, at Stoneleigh Park in Warwickshire on February 25 and 26.